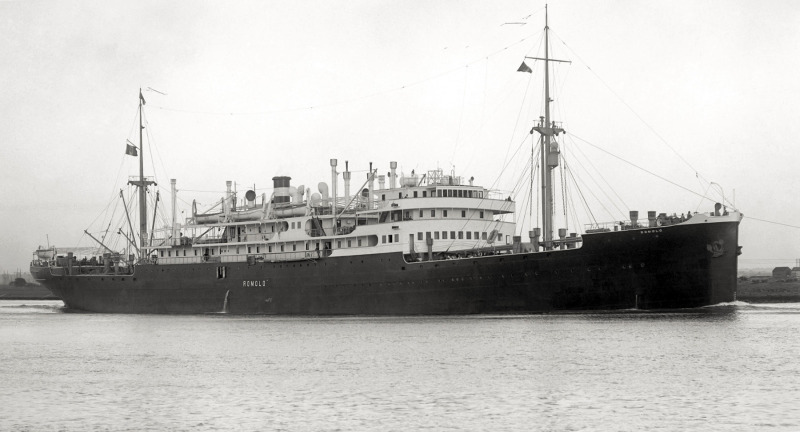 All of the pioneer families arrived in Australia on various Italian passenger and cargo ships. Many of these ships we destroyed during the war or taken as ‘prizes’ of war. The Romolo was used to carry Italian immigrants to Australia and was built in 1926 at Stabilimento Tecnico Trieste. Its voyages left Genova via Naples, Messina, Port Said to Aden, Colombo, Fremantle, Adelaide, Melbourne, Sydney and Brisbane. During the war on 6 June 1940, Romolo was scuttled off the Queensland coast. The burning Italian Romolo struck at the waterline by 6 inch gunfire from the armed merchant cruiser HMAS Manor an armed merchant cruiser, under Royal Australian Navy command, near the Solomon Islands. She intercepted her and ordered to surrender. Once ‘Manoora’ had picked up the crew, they sank the burning Romolo to prevent her becoming a danger to navigation. Narcisio Ballestrin arrived in 1938 on board the Romolo. In April 1938, two other family members arrived on the ‘Romolo’: the mother of the four Ballestrin brothers, Santa Ballestrin nee Guidolin and their sister, Luigia. Giuseppe Rossetto, arrived on the ‘Romolo’ in 1938. 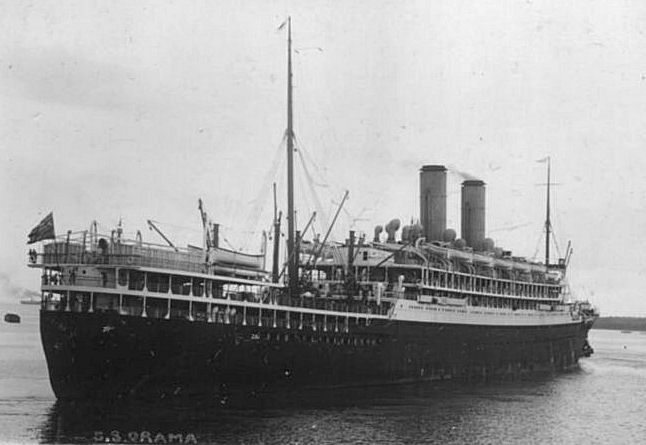 ORAMA; Owned by the Orient Steam Navigation Co. and built in 1924 by Vickers; 19,840 tons; 18 knots; turbine engines. The ocean liner Orama (Capt. 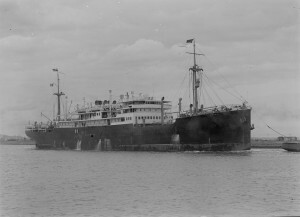 F. G. Sherburne), was requisitioned as an auxiliary troop transport for the British Expeditionary Force to Norway in the spring of 1940. On 8th June 1940, aircraft carrier HMS Glorious, destroyers HMS Acasta and HMS Ardent, the tanker Oil Pioneer and the Orama were some 300 miles West of Narvik, just as the German battleships Scharnhorst and Gneisenau and the heavy cruiser Admiral Hipper, escorted by lighter craft, were sweeping this area and completely overwhelmed the British, sinking all five ships. The Orama was sunk by gunfire from the Admiral Hipper and was also torpedoed. Nineteen men were killed and 280, including Capt. Sherburne, became prisoners. The Orama was not carrying troops at the time. Vittorio Marchioro arrived on the Orama in 1927. The Italian liner Viminale of 8657 tons was built in 1925 and was owned by Lloyd Triestino at the time of her loss. On July 25th 1943, Viminale was torpedoed and sunk by patrol boats, while on tow for repair, off Palmi, Golfo di Gioia. Giovanni Santin brought his wife and four children to Australia. They arrived in Adelaide per ‘Viminale’ in 1935. The Italian passenger/cargo vessel Citta di Genova was torpedoed by British submarine HMS Tigris and sank west of Saseno in 1943. Arriving on the Citta di Genova included members of the Piovesan, Rossetto, Santin, Tonellato and Zampin families. The Remo,passenger ship and sister-ship of the Romolo, was berthed in Fremantle a few days before Italy entered WW2 [10 June 1940]. The ship was seized by the Australian Government as a prize of war [11 June 1940] and officers and crew were arrested as ‘enemy aliens’ and taken to internment camps. Crew members were sent to Rottnest Island and the officers to Harvey [W.A.]. 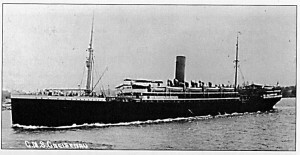 Gelindo Rossetto, arrived on the ‘Carignano’ (see below) in 1927. He married Adelina (Lina) nee Bordin, who arrived on the Remo in 1930. Angelo Piovesan married Anna Rosalia nee Zanatta by proxy and she arrived in 1934 on the ‘Remo’. Regina d’Italia was one of three steamships built by Sunderland Shipbuilder James Laing for the Lloyd Sabaudo Line in 1906, along with the Principe di Piemonte and the flagship, Re d’Italia. With a tonnage of 6149 grt, length of 430 ft, beam of 52ft 8in and service speed of 14 knots, the Regina d’Italia was launched on January 20, 1907. On May 15 of that year, the Regina d’Italia commenced her maiden voyage from Genoa to New York. The following October, she inaugurated the company’s Genoa-South America service as the steamship Tomaso di Savoia was not ready. When a massive earthquake rocked Messina in December 1908, the Regina d’Italia, together with the Re d’Italia, was used as a hospital ship. 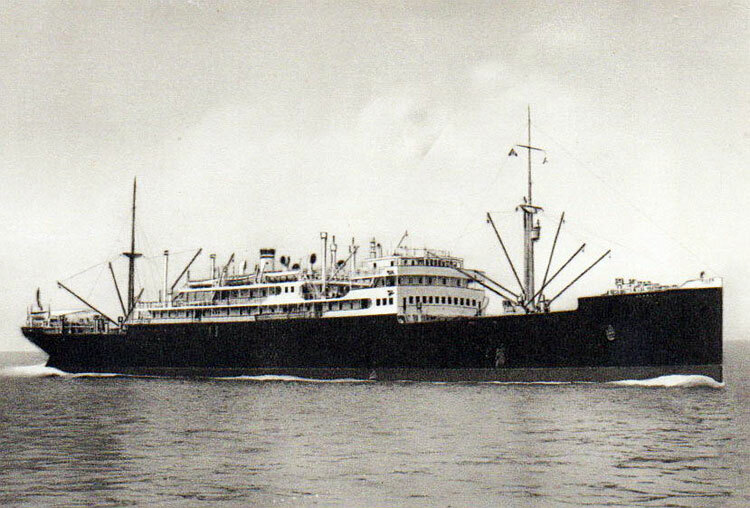 Three years later, she served as a floating hospital during the Italo-Turkish war between Benghazi and Derna. In 1920, the Regina d’Italia’s accommodation was reduced to first and third class only. Two years later she was transferred to the South American service and in the final years of her life completed a handful of voyages to Australia. Arriving on the Regina d’Italia included the Ballestrin, Berno, Francesco and Margherita Marchioro, and Zalunardo families. 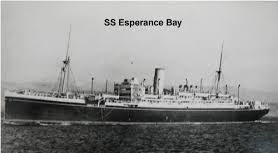 The Esperance Bay was a passenger ship built in 1922, in 1928 it was sold to the White Star Line, London. In 1933 it was sold to the Aberdeen & Commonwealth Line, London. Then in 1936 it was transferred to Shaw, Savill & Albion Line renamed Arawa, 1939 – 1941 requisitioned as Armed Merchant Cruiser. Finally, in 1955 it was scrapped. Vittorio Marchioro married Angelina nee Marchioro by proxy and she arrived in Adelaide on the Esperance Bay. The Esquilino was built by Cantiere San Rocco SA, Trieste. It was launched in 1925 as Esquilino for LLoyd Triestino, Trieste. It was seized on 10 June 1940 at Aden and captured by Britain. The British renamed it Empire Governor. It was decommissioned and scrapped in 1946. Ermenegildo Ballestrin the third brother arrived in 1937. Angelo Piovesan’s brother, Attilio, arrived in 1937 on the ‘Esquilino’. Secondo Tonellato, after eight years he brought his wife, Elisabetta, and children to join him. They arrived in Port Pirie on the ‘Esquilino’ in 1935. 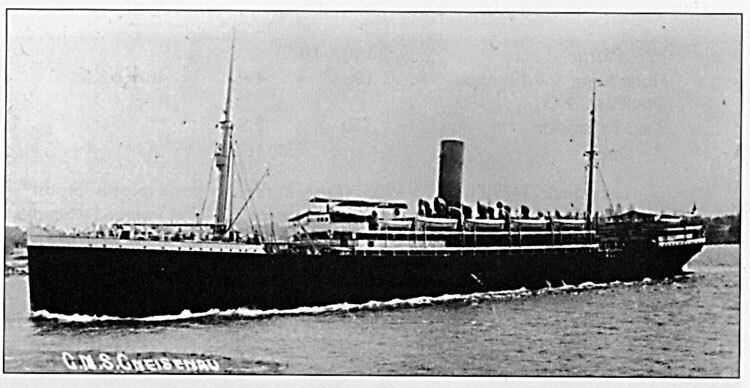 The Carignano was built in 1918. 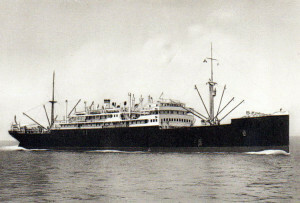 In 1934 it was transferred from Italia Line and then in 1942 chartered to Japanese Government who renamed it the Teiyu Maru. In 1944 the Teiyu Maru was bombed and sunk by US forces in Manila Bay. Gelindo Rossetto and Rubli family.